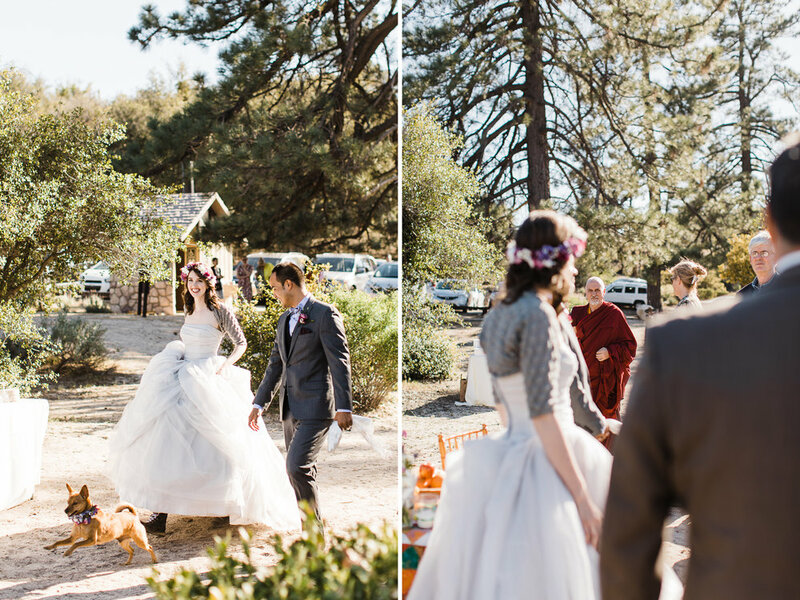 When Kat first reached out to me to shoot her and Addy's wedding, she explained that they had been planning a wedding in Los Angeles but couldn't find a venue that allowed dogs, so they decided to do a small wedding at a campground in the Angeles National Forest. I imediately knew we'd get along and after finally meeting them for their engagement photo session in Mojave National Preserve in Southern California, my assumptions were confirmed! 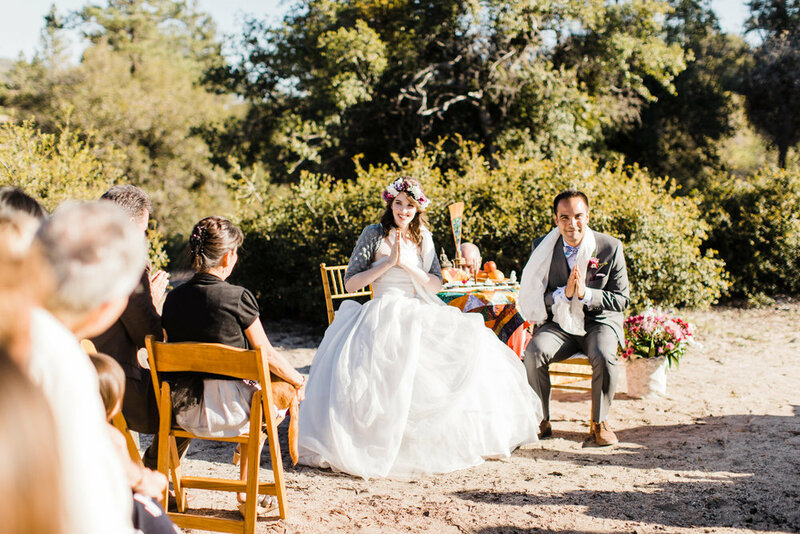 Their plan for their camp-style wedding in the mountains was a relaxed atmosphere for their friends and family from all over the country to spend time with them. 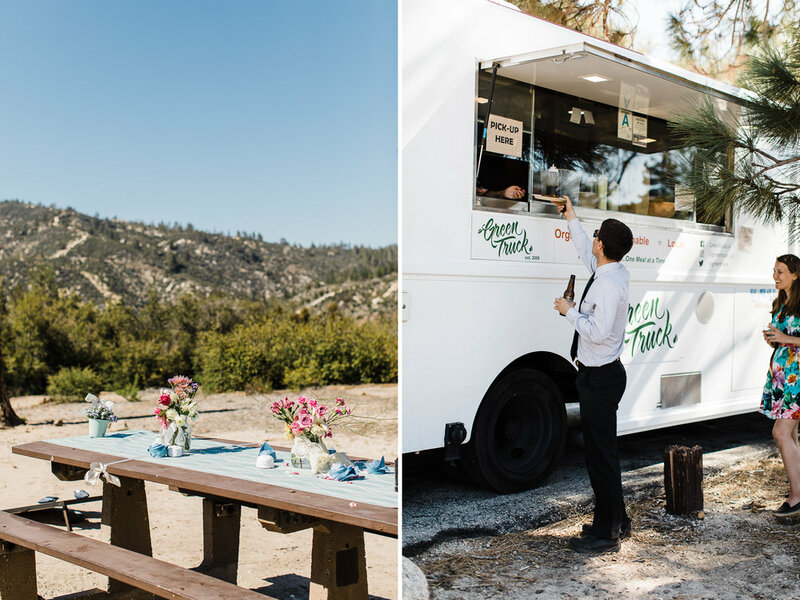 They brought out a delicious food truck and set up in a group campsite surrounded by mountains and trees. 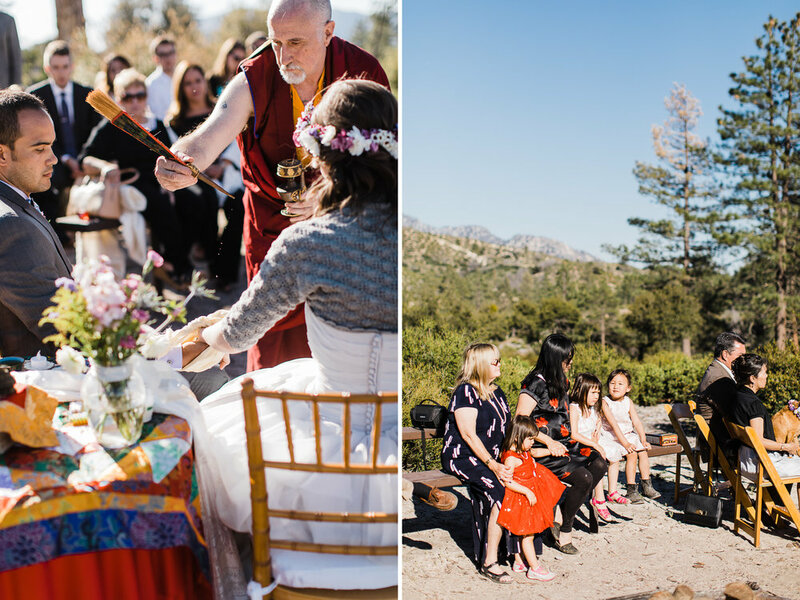 Their buddhist ceremony was absolutely beautiful and the sunset that even was a wedding photographer's dream! We hiked up to an overlook for a mini adventure session as the sun was setting, then made our way back to the camp fire for s'mores. We especially loved playing around with the fire light and getting creative with the last few photos, well after the sun had set. As photographers, we love when our clients trust us to get creative and try new things, and we're so psyched on the result! We're in love with those moody, grainy camp fire photos at the end. Kat and Addy, thank you so much for inviting us to be your wedding photographers! It was such a fun adventure.